If you are craving French food for dinner in Missouri tonight, you have come to the right place. We have a complete guide to all of the best French Restaurants in MO. Eat at one of these great restaurants and you will never want any other restaurant's French food again! Finest with elegant collections of menus and beverages! Vin De Set features casual dining with a lively outdoor terrace and approachable Southern French cuisine. The name Vin De Set comes from the phonetic spelling of the French number 2017, the address of Chouteau Avenue. It is on the rooftop of a national historic landmark just minutes from downtown St. Louis, MO. Vin De Set is located in a very comfortable atmosphere that offers an expansive open air deck for dining and outdoor bar, along with indoor dining rooms and indoor breathable bar. It's inspired by 19th century architecture which features vaulted ceilings, exposed bricks and towering arched windows, with panoramic views of the arch, Union Station and downtown St. Louis. Existing structures with modern finished seasonal cuisine of Southern French and the contemporary American twist create a distinctive atmosphere and memorable culinary arts experience. They take pride in serving traditional French cuisine! Cafe Provencal is one of the best French Restaurants in St. Louis, serving generous portions of delicious and nutritious Southern French food cooked to perfection. Everyone is welcome and can choose to dine inside amidst rustic, authentic decor, outside on the lushly landscaped patio or simply enjoy a drink at the relaxing atmosphere of their bar. 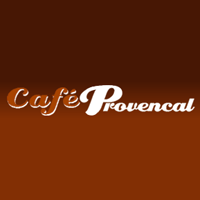 Cafe Provencal is open Mon-Sat 11am- 2pm, 5pm- 930pm, for breakfast, lunch, dinner, coffee and drinks. Their friendly staff and general manager John Schreiner is glad to serve everyone. Simplicity, freshness and the flavor of Provence brings a memorable experience of French cuisine. They have been awarded with the St. Louis Magazine A-list award! Experience delicious French dishes and memorable dining! 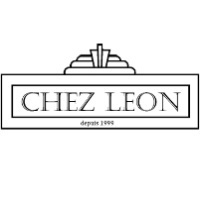 Chez Leon is the finest French restaurant that has been serving in St. Louis for more than 10 years. It specializes in a classic French style menu at very affordable fixed prices that consist of three courses for as low $47. A premiere Clayton restaurant in town, they accumulated numerous awards from a variety of St. Louis publications, including Best French and Most Romantic Table in 2010. Their executive chef, Ben Guthierl, is an expert in French cuisine which makes him a perfect complement to Chez Leon's classic French menu. They are open and serving lunch Tuesday thru Friday. Occasionally they host informal wine dinners with their special guests from French vineyards and distributors. They are glad to bring a pleasant experience to your dining. Chef de cuisine Ben Guithierl is happy to prepare special menus featuring classic French dishes from the vineyards region. Lovely atmosphere and amazing dishes! 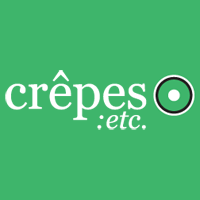 Crepes etc is well-known as a place of breakfast champions. Their breakfast specialties are out of this world. Every dish is so fantastic and simple in their own way. A daily special menu is created using the highest quality and flavors that everyone will really enjoy the meal with. Chef Eric Kelly has a unique ability for culturally diverse cuisine, with great success in creating restaurant concepts. Try their most popular cheese pancake with lemon curd and fresh blueberries. They also offer the finest coffee in the world, with perfect balance and dark roast in a cappuccino or espresso on their front sidewalk. Enjoy the coffee and a little people watching with a relaxing atmosphere. Have a traditional crepe with a modern French twist. Just visit their page for more details and updates. Cozy place for the unpretentious French cuisine and wine enthusiast! 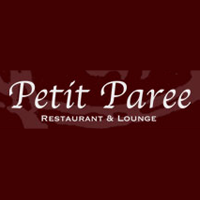 Petit Paree offers casual elegant dining. Petit Paree stands out as the "Par excellence" best restaurant in town. It is a charming establishment with good food as well as warm service and reasonable rates. The art decor adds to the comfortable feeling, with combinations of age and red plush that is slightly redolent to New Orleans. Their exciting menu features a wide selection of American and European fare, including their legendary bacon wrapped filet mignon straight off the Petit Paree char broiler. The fresh catch of the day and South African lobster tails and golden fried catfish are the most popular choices. They also offer a complete range of wines and full martini list. Just visit their page or you might make a call for reservations and more updates. Treat yourself with their exclusive cocktails and romantic dining! The Melting Pot of Town is the famous French restaurant all over the United State with more than 140 restaurants in North America, in 36 States, Canada, Mexico, and more than 20 locations currently in the development. 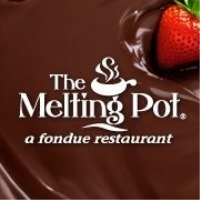 The Melting Pot Restaurant Inc is the premiere fondue restaurant franchise. Founded in 1975, it continues to be a memorable dining experience. Everyone enjoys a choice of fondue cooking style and a variety of unique entrees combined with dipping sauces. The menu also includes cheese fondue, salads, fine wines, and chocolate fondue desserts. It's a perfect place for a birthday, celebrating romance, anniversary or any occasion. They're offering something truly unique, an opportunity to interact and connect while experiencing all fondue has to offer. For more details and inquiries you may call and book for reservations. The best spot in Kansas City! 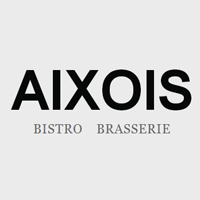 Aixois French Restaurant is classic elegant French dining in the Brookside in KC. It is owned by Emmanuel Langlade who trained in Marsaille France before opening Aixois in 2001 with his wife Megan. Aixois French Bistro offers fresh ingredients to make the best dishes. Emmanuel and Megan locally produce organic vegetables, meat and breads. To give Emmanuel success in his traditional menu of French flavor, they import special seasoning, cheese and oil from France. The bistro is very well-known for its approachable French cuisine. Guests can sit in their relaxing atmosphere and enjoy Nicoise salad and a glass of Bordeaux on their award winning patio. Come and experience memorable moments of casual French dining in town. Place where people can meet and enjoy healthy food! At Avalon Cafe you can sit on the hilltop overlooking Weston's historic downtown. 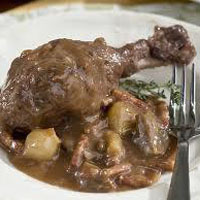 They offer a wide variety of French style dishes to satisfy every guest. Their specialties include beef tenderloin, grilled over MO apple wood served with mushrooms and Bourbon sauce, New Zealand green Mussels, that are enriched in wine sauce and cinnamon bread pudding served with vanilla cream sauce. 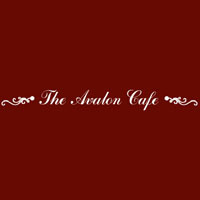 Avalon Cafe has American and French style cuisine prepared and owned by Chef David Scott. They offer delicious food such as American latest style, American traditional style, Brunch, Burgers, French style, Greek and Mediterranean, sandwiches, seafood, steakhouses and vegetarian food. Come and enjoy their food that can really satisfy. A French bistro with definite flair! 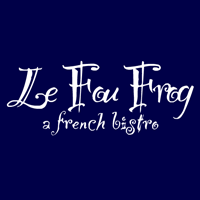 Le Fou Frog brings the experience of fresh and elegant food, soft lightning, cozy tables, charming and friendly staff, comfortable relaxing atmosphere that everyone will enjoy, fun and totally unpretentious. Le Fou Frog chef and owner Mano Rafael and wife Barbara are happy to share their success in culinary adventures. Rafael built a loyal following with consistently highly rated food and service and a sense of playfulness that brings everyone such special events in their lives. They're glad to have an opportunity to serve you and your guests for any events. They'd love to offer a unique mixture of traditional French and American bistro at reasonable rates. Come and experience their four star food in a full romantic atmosphere. The premiere name of French quality cuisine in town! 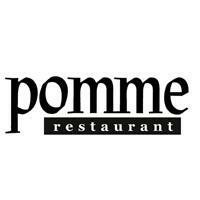 Pomme Restaurant has a rich traditional, contemporary style and nature's bounty fresh and dining pleasure is the result. "Pomme" means apple in French. They love the color of apples and you will discover it in their room. They started to opened during the apple harvest. Dianne and Brian Carr are the owner/ chef. They're open Tues-Fri 530pm -10pm, Sat and Sun 5pm - 11pm. They created something very special with their devotion, generosity and sense of hospitality. They are grateful and wish to be part of your next event and your future travel to MO. Their place is available for private parties and events during non-business hours ideal for showers, luncheons, brunch events or evening gatherings on Sunday and Monday evening. For more details and updates just visit their page or make a call for reservations.